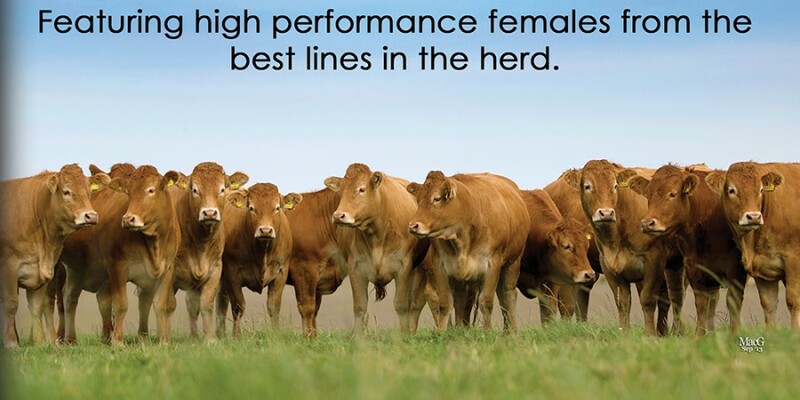 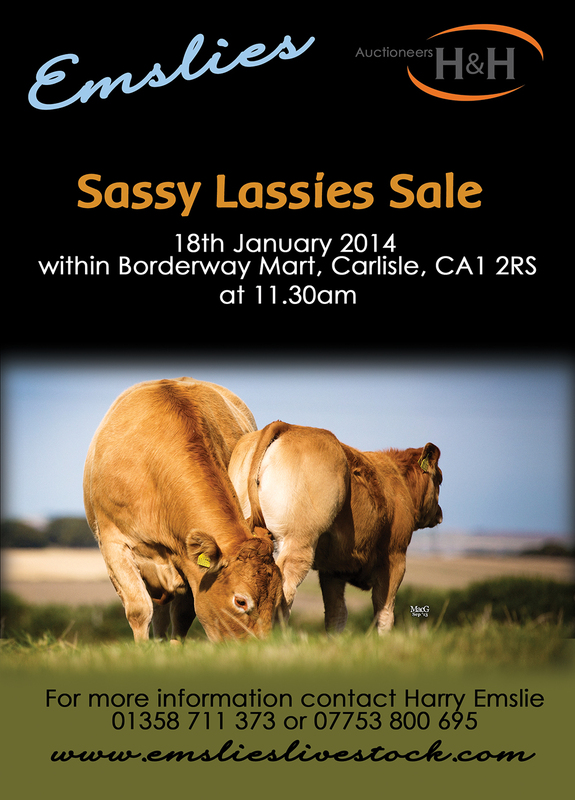 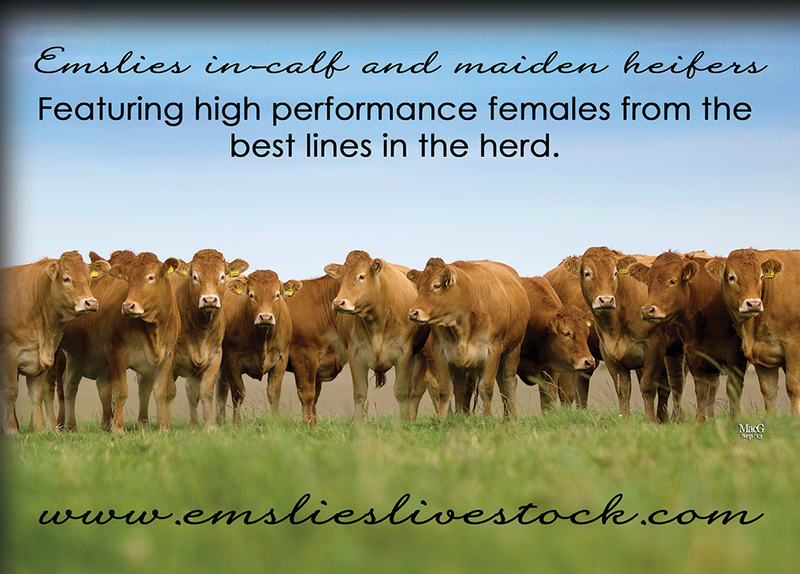 Still in the thick of review adverts we’ve also been working on artwork for the upcoming Sassy Lassies sale from Emslies Livestock which takes place in Borderway Mart, Carlisle on January 18th. 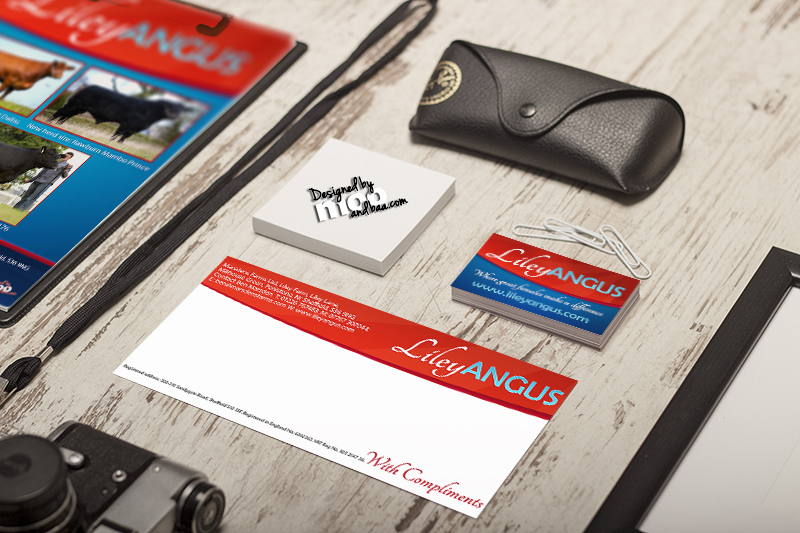 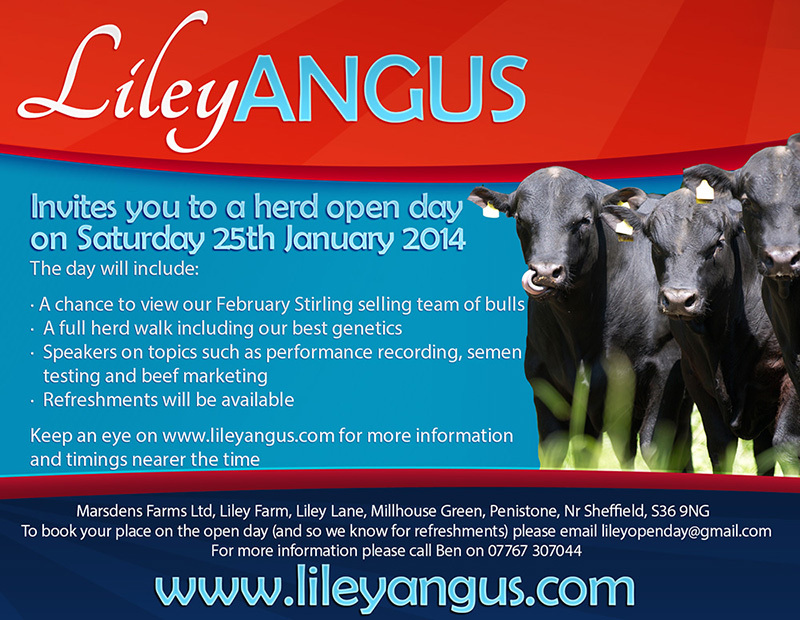 Also coming up in the New Year is an Open Day for Liley Angus on the 25th of January. 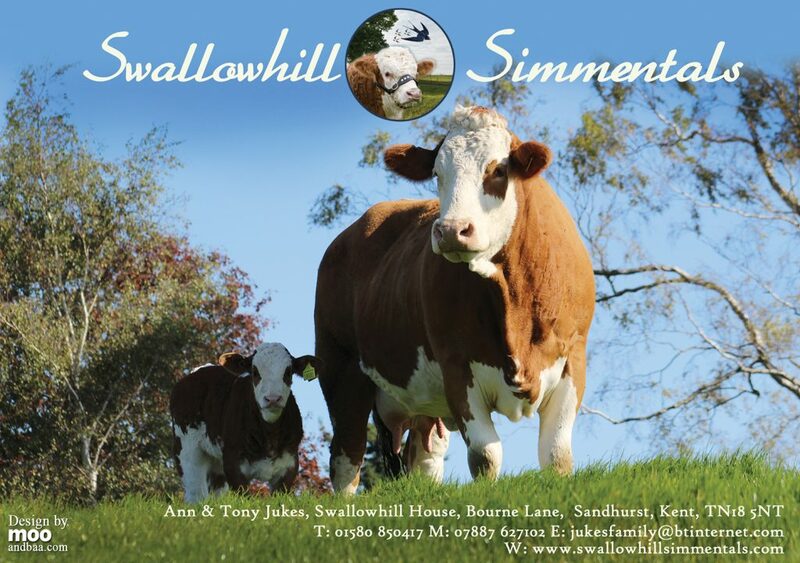 We’ve kick started their event promotion with a postcard advert with much more to follow.